Do you have some “smart cookies” at your house? I may be a little biased, but I think I have three. 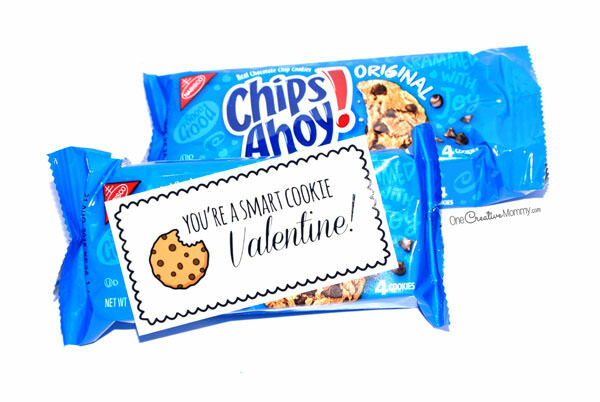 This Valentine’s Day, I’ll be serving up a little bit of fun with their favorite cookies and these cute Valentine printables: “You’re a smart cookie, Valentine!” And, of course, I’m sharing them here so that you can serve them up for your family, too! I’ve had a lot of fun creating printable valentines this year, but I think this one may be my favorite. I think it’s the cookie. It’s free clipart I found online, and I just love it. So cute! Which printable is your favorite so far? Let me know so I’ll know what to make next time! Ready to download? Just click on the download link below to open the pdf file. You can print from there or save the file to your computer for later. Thanks for stopping by today. 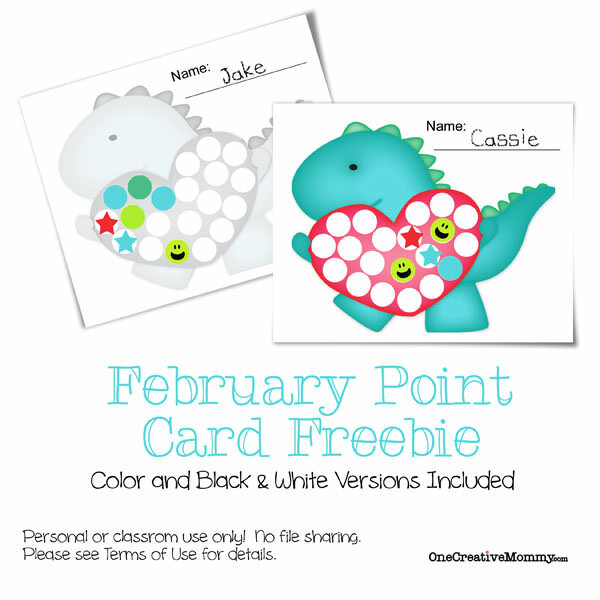 If you missed any of the Valentine printables I’ve shared so far, you can find them here. If you’ve been dying to know why I’m sharing so many valentines, the wait is almost over! 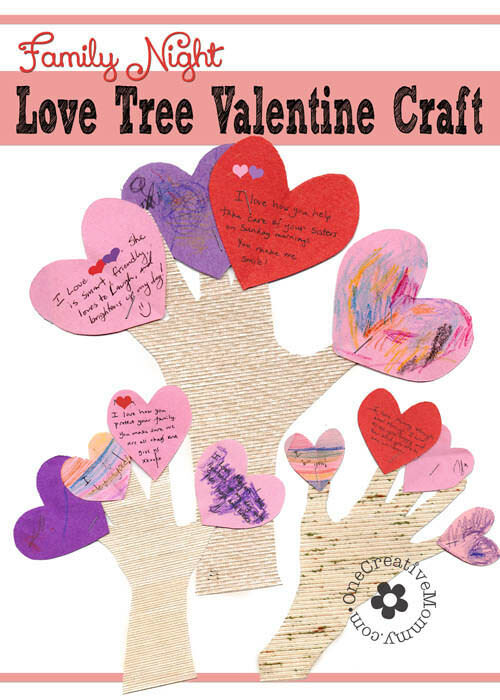 Are you following my Valentine Idea Exchange Pinterest Board? Follow for more great Valentine ideas, crafts, and recipes. While you’re here, check out some of my other ideas. The images below are linked to posts. Just click on the image to visit the post. Those are super cute! 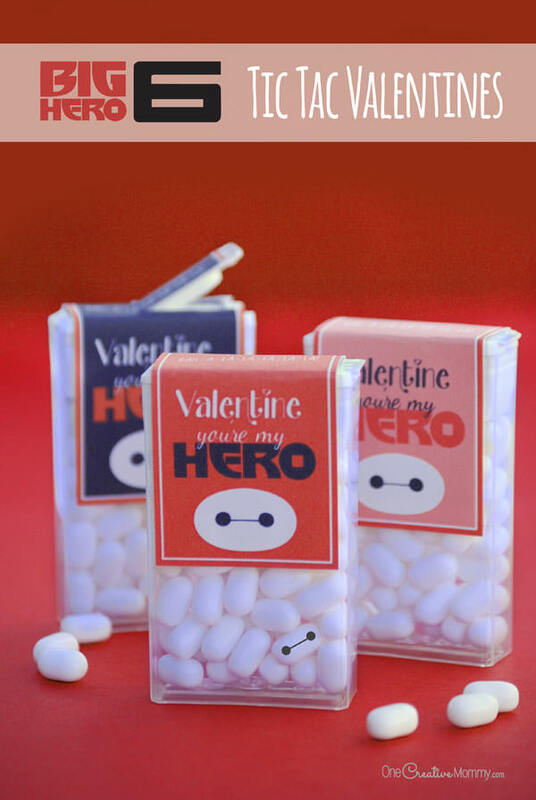 I love your Big Hero 6 valentines as well! Very clever! Thanks so much, Christine! I love valentines, and I can’t stop making them. Hi there, I am curious what sized label I would get for the ” smart cookie.” Valentine? Could you share please? I would like to make these for my sons class. Thanks a bunch. Hi, Rebecca. My printable is not sized for labels. 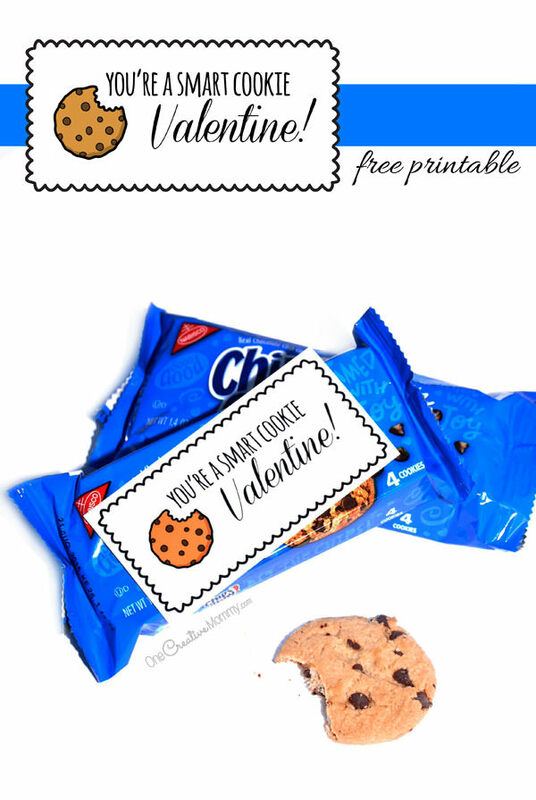 You can just print them on regular paper, cut on the cut lines, and tape them to the cookies. Although they look like labels because of the size and color, mine are just printed on cardstock. Enjoy!